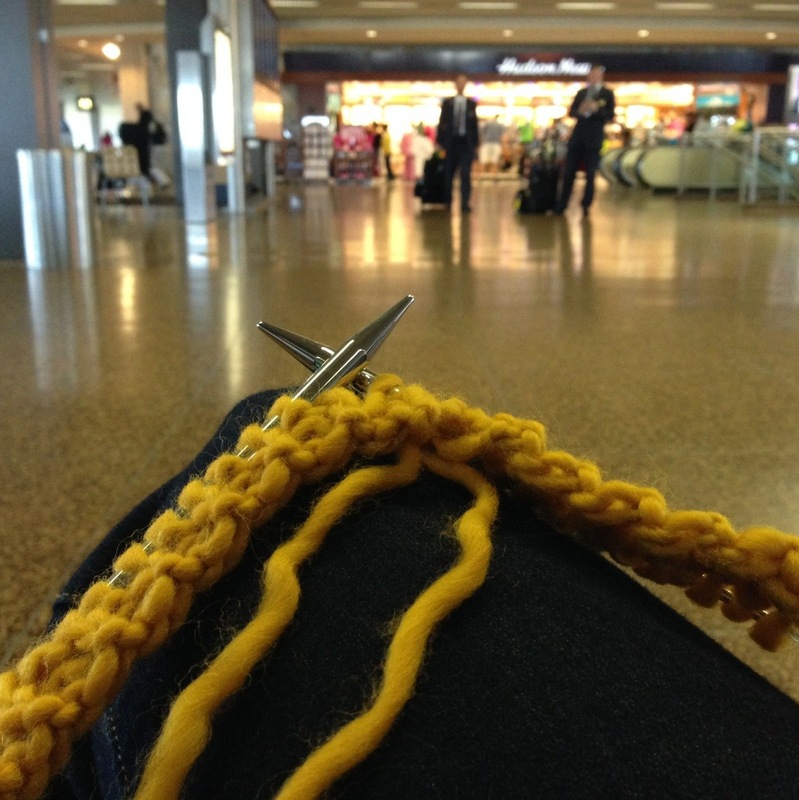 This entry was posted in Fiber Friday, knitting, Real life? and tagged fiber Friday, knitting, knitting in public, Spinning by Leah. Bookmark the permalink. Hah. The fluff cloud thing hasn’t happened to me yet, but it’s only a matter of time and opportunity. Bet it’s worse with mohair!! Might (not) need to try that! Yikes, I bet it is. It’s actually never been a problem..and I use metal needles! I’ve even traveled to countries in Africa! Go for it! I was wondering do you get through security with those needles? Last time I travelled I put the needles in my suitcase in the hold. Hi there! You know, I have never had a problem, and I travel a lot with my job both in the US and to countries in Africa and Latin America, and it’s always been fine. Kinda crazy, cuz they are sharp objects, but it’s been 100% ok!